Mason Industries has been a leader in the field of noise, vibration and seismic control for over 60 years. Our products are specified by consultants and architects here and throughout the world. In addition to a complete range of mountings, hangers, and flexible connectors for mechanical equipment, we provide computer studies for snubbing systems in earthquake and bomb blast zones. Floating floors, walls and suspended ceilings provide total acoustical room isolation. Rubber bearing pads and spring mountings are used to support entire buildings and railroads. Our professional engineering staff is here to serve you in every way. Below is the Mason Industries Catalog broken down into sections. You may download the full catalog or each section at a time. 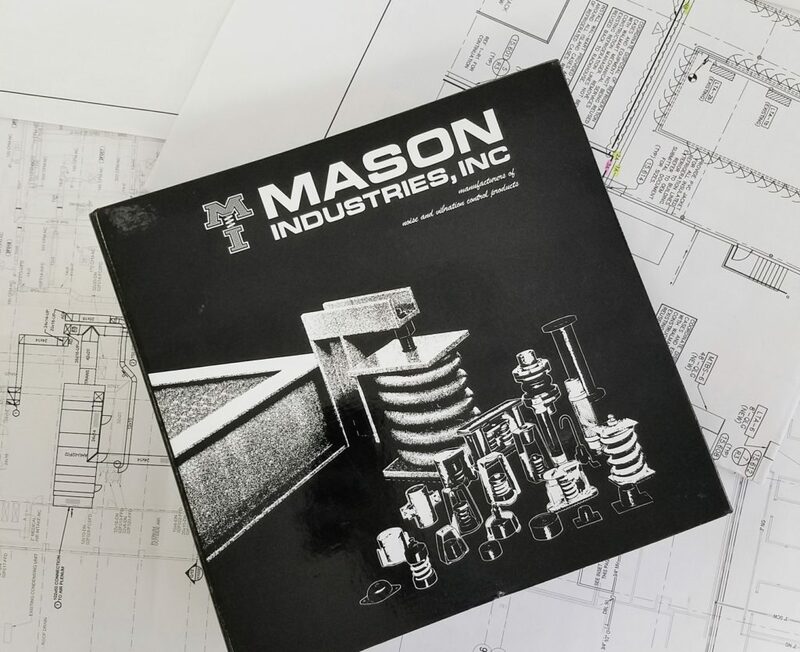 Please fill out the form below to submit a request for a Mason Industries Catalog. We will mail you a full catalog printed on high quality paper for you to use in your office for reference. Where should we send the Mason Industries Catalog? Do you have any additional notes you would like to add?